but today I'm making an exception. the FREE Holiday Chalkboard Art Prints I shared with you. I updated this one to incorporate it into the interactive Hot Cocoa Bar I've created in my home. quickly share the all of the details for PRINTING!! We all know printing can be expensive - especially for anything large scale. It occured to me that Chalkboard Art Prints might be a good candidate for printing as a "Blueprint". CHALKBOARD ART PRINTS ARE PERFECT FOR BLUEPRINT PRINTING. My results were better than I anticipated and I couldn't wait to share this technique with you. I stuck it right on my 24x36 framed mirror with some double-stick tape!! 1. Save the Chalkboard Art Print (or other file of choice) onto a jumpdrive/flashdrive or CD. 2. Go to Staples, Office Depot, FedEx Office or some place similar that offers large format printing. 3. Ask for a 24x36 blueprint, engineer print, or draft print of the file. (other optional sizes: 18x24 or 36x48 ). UPDATE: I have found more consistent results having 24x36 Chalkboard Art printed as standard 24x36 black and white prints. The engineer/blueprints sometimes produce visible lines in the art - depending on whether the ink is running low at the print shop. If you need a larger poster 36x48 - you will still need to ask for the engineer/blueprint since it's the only printer that can accommodate that size. There should be no price difference between either option - meaning you should still be paying less than $3 or $4 - depending on where you live. Most places charge around .78 per square foot - making this type of printing an amazing deal! • The pricing for this technique only applies to BLACK AND WHITE images. • Don't expect a high quality print - this is for quick printing with high impact results - not clarity. I highly recommend this printing alternative. I love my results so much I will be swapping out the 24x36 Chalkboard Art to coordinate with each Holiday/Season. At under $3 - it's completely affordable! • Have old black and whites printed for displaying in your home. • Display oversized prints for Family Reunions, Celebrations or to honor a loved one at a funeral service/viewing. have had oversized prints displayed everywhere to celebrate their lives/legacy. 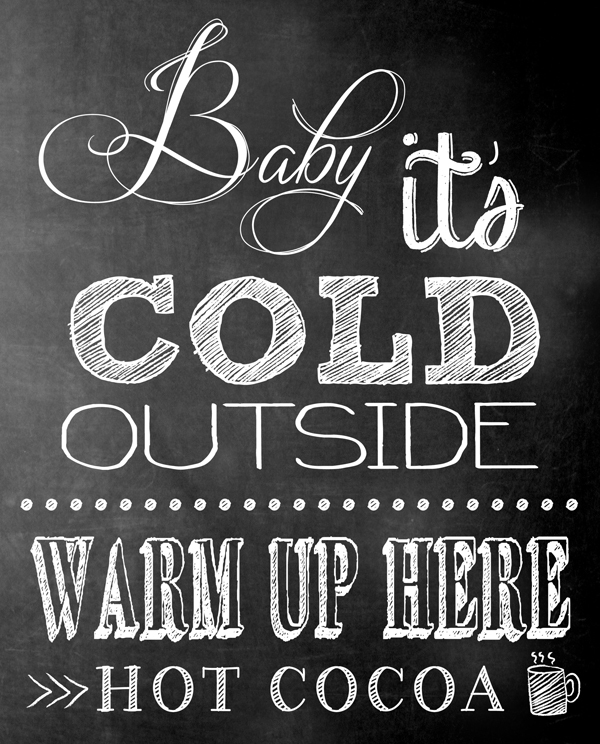 FREE Chalkboard Fonts I shared with you HERE). 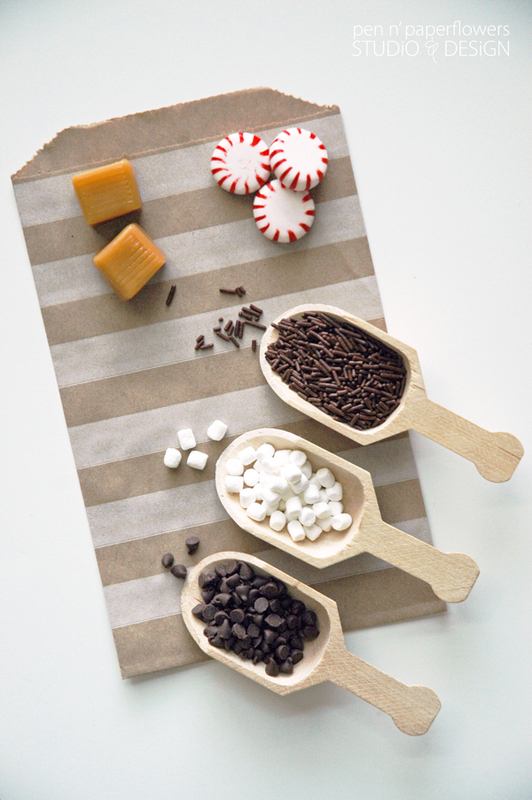 • Create fun backdrops for dessert tables - can you imagine all of the possibilites? • Make inspirational quotes to hang in your office, children's bedrooms, etc. If you come up with any additional creative ideas/ways to use this AFFORDABLE printing technique - I'd love to hear all about them!! I'll show you how tomorrow! and pin your little hearts away!! 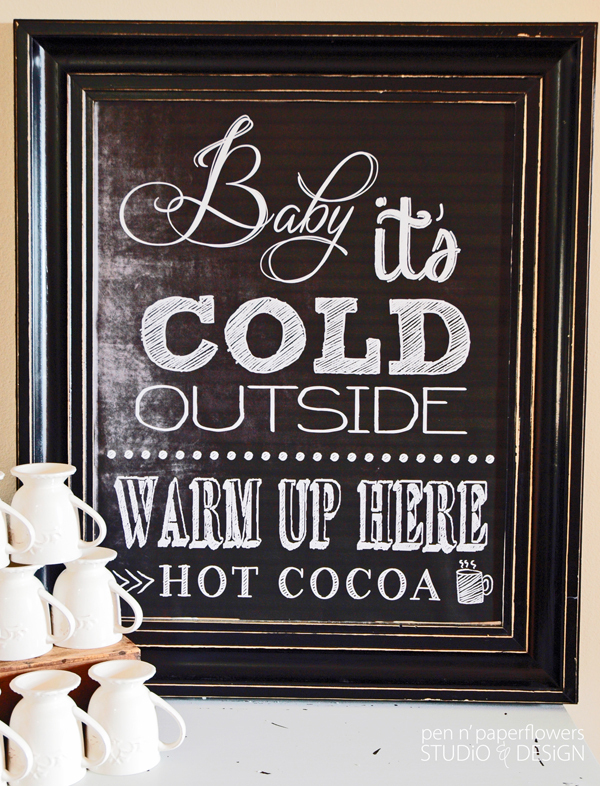 I pretty much stare at our Chalkboard Art (with a huge smile glued to my face) every time I walk past our Hot Cocoa Bar. I must've asked J and Clara several times now what they think of it! I KNOW I've said more than a dozen times (outloud) how much I love it. The simplest things make me the happiest!! Hi, I'm an architect and wanted to share that if you live in a city or near a business area you can search for a Reprographics company. It's cheaper to print large scale than at FedEx Office, Staples, etc. You can upload a file online and pick it up as will-call or just stop by in person with a flash drive. They will print jpgs, pdfs, eps and other formats. Thank you so much for your feedback Brandy!! I DO have a local Reprographics print shop I worked with previously - several years ago. I was thinking this whole time they were more expensive than the "big box" print shops. You've definitely got me curious - I'm so excited to try them out again!! Lisa!! Oh no! What print shop did you try using? I used Office Depot for mine and had no trouble at all. To give you an idea, it typically costs me $19.99 to print a 24x36 in COLOR. To pay $35 for a 24x36 Black & White makes NO sense. You should not have to pay more than $3.00 - try a different place and let me know what happens. I just wanted to say that this was AWESOME!!! I had a Cafe Escapes Cocoa party today and I printed this to a 18x24 size. I did it at Staples and it was $1.18 !!! And the girl at Staples was just tickled to death herself she thought it turned out super cute too!! Thanks for sharing the printable AND the tips to print!! Dee: Here in NY the larger sz came to $3.00 @ Staples!!! Thanks sooooooo much! Love it! Bummed I was so excited about printing this off to use this winter but when I click on the link to go to download the picture it is not found. Great idea though!